We are talking with Pavel Guralnik, VP at ISPsystem, to learn which software solutions for hosting and data center automation are developed by his company, and why providers looking for a WHMCS alternative should pay attention to BILLmanager. HOSTSEARCH: Thank you for giving us an opportunity to talk with you today. Can you please introduce yourself? PAVEL GURALNIK: It’s my pleasure! I am VP at ISPsystem and am involved in pretty much every aspect of our business, be it the solutions itself, the licensing, marketing strategies, communications with partners, product management, or finance. So there are a great many things going on all at once, and it definitely keeps me in shape. 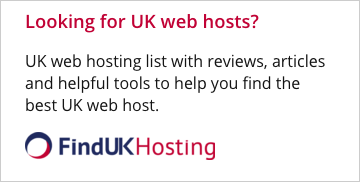 HOSTSEARCH: Can you please tell us how ISPsystem was established? What is the main reason your company choosing to focus on hosting automation solutions? PAVEL GURALNIK: ISPsystem was founded over a decade ago, in 2004, by a few industry enthusiasts, with a passion for software development and the hosting industry. Back then, the hosting industry was not as diverse and vibrant, most of the things were being done for the first time. That’s why we focused on breaching a gap between the needs of providers & customers and the solutions available to satisfy their needs. And today we continue to see opportunity, and are constantly faced with new and exciting technological challenges, thus evolving with the industry and its trends. Although we have initially started off as a company with presence in Russia, we are now proud to say that our customers are all over the globe. HOSTSEARCH: Could you give us an overview of ISPsystem’s solutions? Our most wide-spread, flagman control panel is ISPmanager – web server control panel, for VPS, Dedicated, or Shared hosting management. It allows creating users, domains, manage files, set policies, and everything else you would expect. In addition, we are constantly adding more functionality, such as a built-in Site builder, Anti-virus functionality. 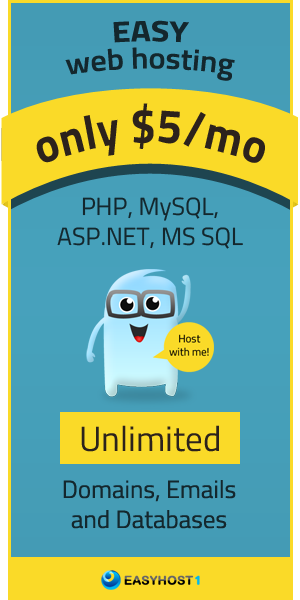 Also we were amongst the first to support such things as alternative PHP versions and Let’s Encrypt functionality. Then, there is VMmanager, a control panel to take control of your virtual environments. It currently works on OVZ and KVM hypervisors. This solution helps creating and provisioning VPS, as well as building clusters of virtual machines across different physical servers, all managed from a single panel. DCImanager is another solution we have, and as the name suggests, it is for data center infrastructure management. This solution deals with inventory, bare meta or dedicated server provisioning, controls electricity consumption, UPS’ and PDUs, keeps track of inventory of parts, and also manages networking infrastructure, dealing with IP management, VLAN’s. And of course, BILLmanager, a billing and business automation platform, which brings everything together, as all our solutions are integrated with each other, and creates a back and front office environments. HOSTSEARCH: Let's speak about BILLmanager a bit more. You have built the core of ISPsystem, its’ philosophy and business model on the premise of helping hosting providers to take business automation to the maximum, as efficiently as possible. What is the role of BILLmanager in this vision? PAVEL GURALNIK: The main role of billing platforms is to be in the core of every provider’s business. BILLmanager takes care of such daily operations as invoicing, calculating tax for different jurisdictions, ensuring that services are provided as quickly as possible, and pretty much anything else you can think of. The main idea, is that it provides a single point of access, in an intuitive interface, to all the customers, to view their expenses, or talk to customer support via built-in helpdesk. At the same time, the provider automates many daily activities, thus allowing every team member to perform in the most efficient way, and for decision makers to focus on more important, revenue-generating aspects, such as growth strategies, expansion, and so on, where BILLmanager will also help with its extensive array of analytical reports on sales, projections, and everything else needed. HOSTSEARCH: There are several strong solutions on the market, currently with a vast market share. 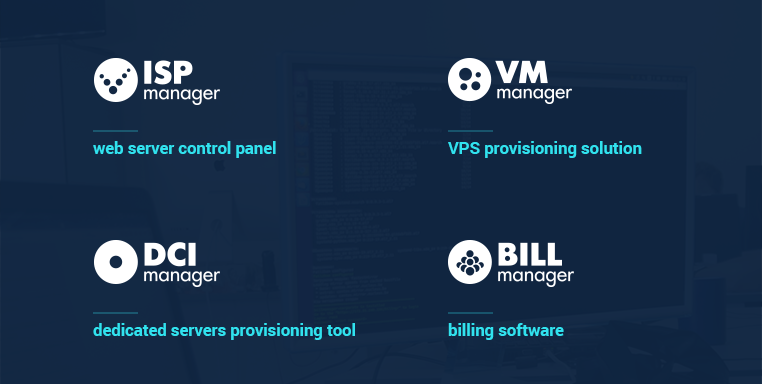 When compared with such solutions as WHMCS, HostBill, or Blesta, how does BILLmanager fare and what are the main differences? What comparative advantages can BILLmanager bring to providers, and why should it be considered as a real alternative? PAVEL GURALNIK: We are very happy that there are other alternatives for providers, as friendly competition is the best driver of progress! What sets us apart is our philosophy and approach to development. BILLmanager is useful for a specter of providers of different sizes, from providers who are just starting their business, to enterprise level companies. And this approach is implemented in the product itself, its functionality, and licensing. For example, on the licensing side, BILLmanager is completely free for providers with less than 50 clients, without any time limitations. So if a provider is just starting out and does not have his feet on the ground yet – we make a point of not making a sale. Instead, we help nurture that business, help it become successful, give it the tools to start-off with the right instruments. On the functionality side, for example, BILLmanager is very modular, and we are keeping things basic at the start. So if the provider only wants to sell VPS, then a few clicks, and this functionality is enabled. Provider grows and wants to start selling bare metal servers – again, few clicks and he is in business. 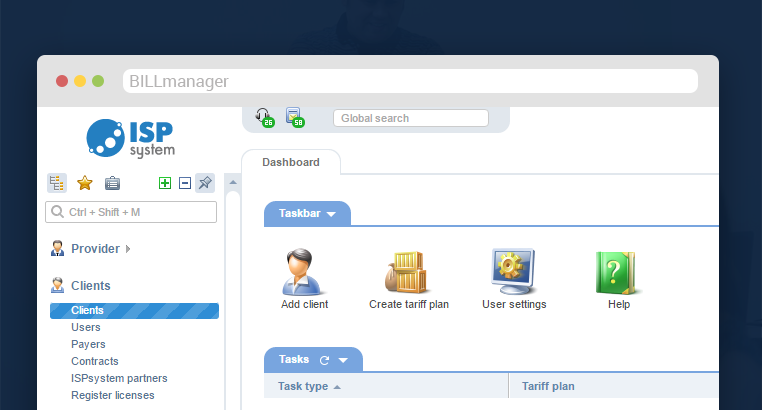 Provider grows and now want to sell Colo services and IaaS solutions – this functionality is clicks away. So the interface and functionality is not cluttered, and expands as you grow. Another great feature we offer is multi-project functionality. If a provider has more than one projects, or more than one companies, he does not have to get several BILLmanagers and work through different interfaces. One BILLmanager can support an unlimited amount of projects and companies, all providing different services, all with a unique customer base, customer support levels, pricing, etc. And of course, it is fully brandable, at no extra cost. Most billing solutions have the same basic functionality. But it is very important how that functionality can be expanded – our philosophy and over a decade of experience ensure that it is done right. Of course, open API and freely available source code for many plugins which we develop ourselves helps with the rest. HOSTSEARCH: You mentioned open API and freely available source code for some plugins and modules. As we know, your solutions are all written in C++ and are closed generally. Is there a reason for this? Wouldn’t open source be more welcoming? PAVEL GURALNIK: Indeed, our solutions are all written in C++ on the backend and are closed-source. However, we try to provide all the tools necessary for in-depth customization, hence the API. We even provided source code for some of the plugins so that users can make their own much easier, and see the inner mechanics of it. And of course, plugins can be written in any other language preferred by the user. There is no middle ground with open source solutions – it either has to be completely open source, or refrain from using the name. For instance, there are several solutions on the market that are positioned as open source, however, the licensing part is still closed source. It is understandable, as the developers need to monetize their work to ensure continued support – but they get criticized either way. In our case, since we are also developing a billing platform, and a data center infrastructure solution, it is paramount that security is air-proof, without any vulnerabilities. And C++ is the best way to ensure this. HOSTSEARCH: Sounds like you have your hands full! With all that ISPsystem is involved with, what is your strategy to ensure that your business will continue to grow and expand? PAVEL GURALNIK: Product, product, and product! We are passionate about what we do, and strive to develop solutions that are functional, intuitive, flexible, and loved by the industry. This is something we have rooted deep into all of our business processes. Although we have grown over the years, and are now almost 150 people strong, we keep things as flat as possible, and make a point of communicating with our customers and partners. We let the industry and our users affect our roadmaps and influence the functionality we build. We want to hear from the community and tell us what they love and hate, need and demand, what challenges they face, and how we can help overcome it. And we want everyone to have no barriers to try out our solutions, at no cost, because opinions are very valuable - that’s why all of our solutions come for free initially, without functional limitations. From business development perspective, over the past two years we have started expanding to Europe, the Americas, and Asia. Our current market share in Russia and a few other countries is over 74%, and we are confident that we have the high-standard of solutions that will help us replicate that success in other regions. To ensure that high level of quality we have a very short release cycle of just 1 week, meaning that every week we release an update, with fixes, patches, new functionality and features. We also have an in-house QA team and external release auditors. So although we are very quick to react and develop new functionality, we take security extremely seriously. HOSTSEARCH: Finally, what advices would you give to our visitors looking for hosting automation solutions? PAVEL GURALNIK: I would advise to take our solutions for a spin, test it, and give us honest feedback. There are many things we have in the pipeline and it is amazing to have an open line of communication with the people we are doing this all for. And with so much going on in the industry, and with the competition being fierce, it is important to have as much automation and efficiency as possible – so we are here to help.